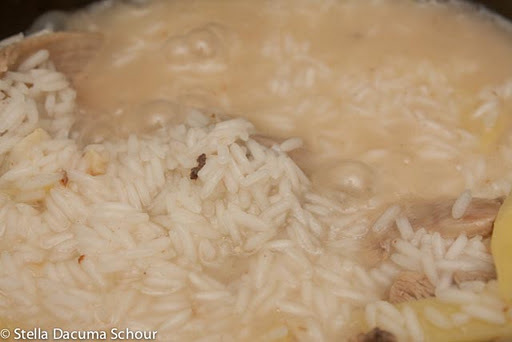 Arroz caldo is actually a Chinese congee that was adapted to the tastes of the Spanish colonial settlers who patronised Chinese restaurants in the Philippines. Funny enough, I had to check out Wikipedia how this dish comes about. 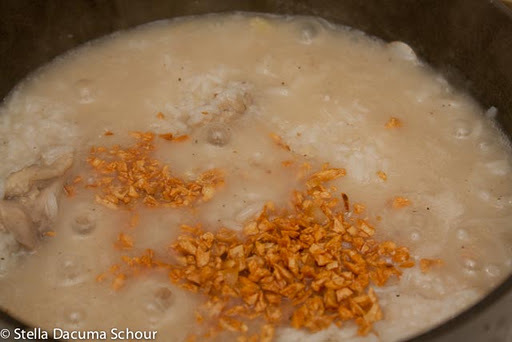 In its plain basic form, Lugaw – it is just a rice porridge with no meat. There are other versions: tripe topping (Goto), Tofu and Pork Ears on the side (Tokwa’t Baboy) topping or with a Hard Boiled Egg. 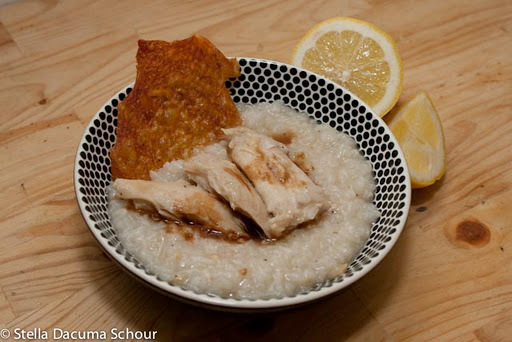 This is all about the version with chicken in it – Arroz Caldo. 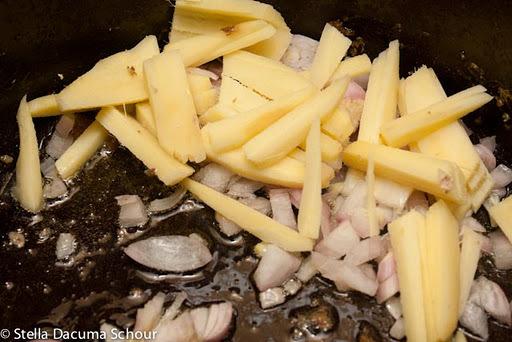 Chop ginger into strips – so you can easily take it out while eating. 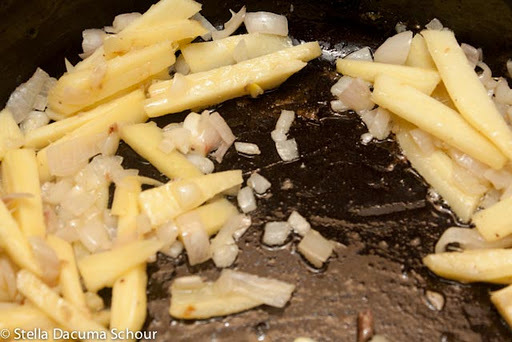 fry all your minced garlic until it is golden brown. 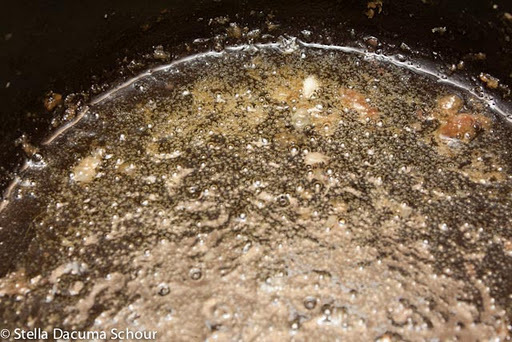 In the same pan, render out the chicken fat. 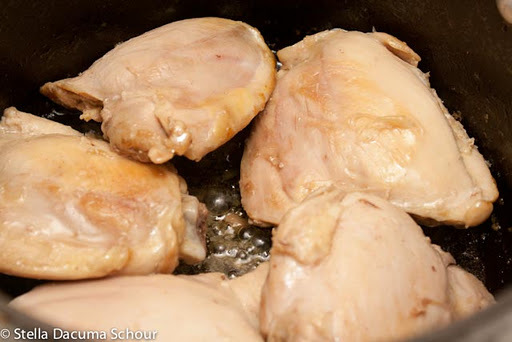 turn off stove and take chicken out of the pan. 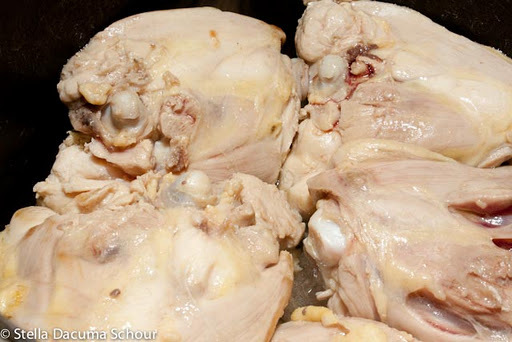 Drain out all the chicken fat and throw it away. Trust me, there will be more. 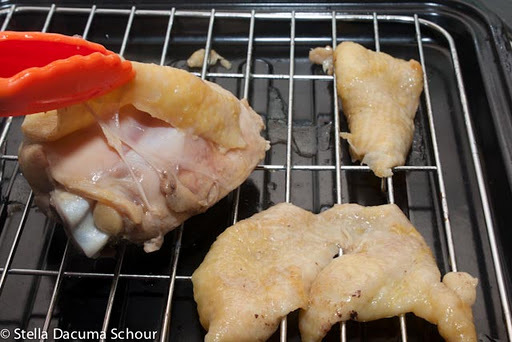 Peel off the chicken skin with tongs. Put the skinless thighs back in the pan to render out more fat. 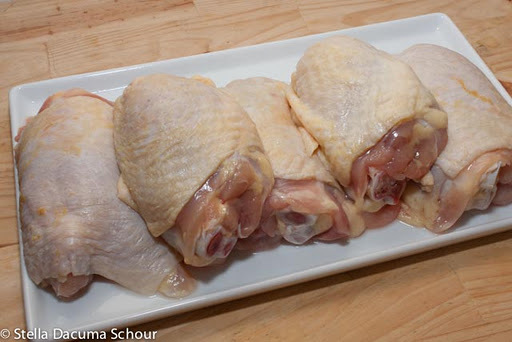 As the thighs cook, lay out the skins on a tray with a pan at the bottom. 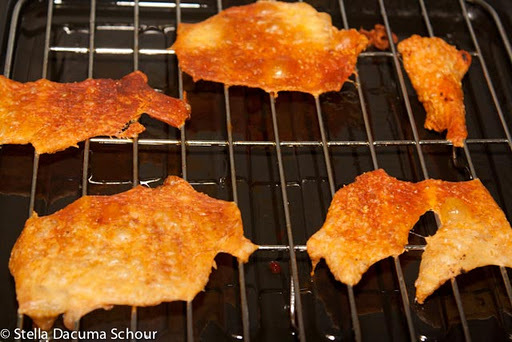 Toast the chicken skin to a crisp! You know it’s done when it turns into this lovely golden brown color. is at the bottom of the pan. If there is too much, take some out. There should be enough because you already took out a lot of it earlier. 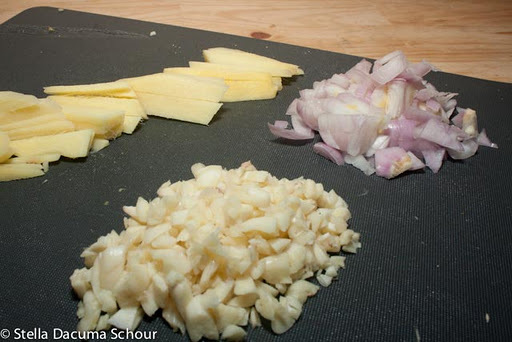 Add shallots and ginger at the same time. 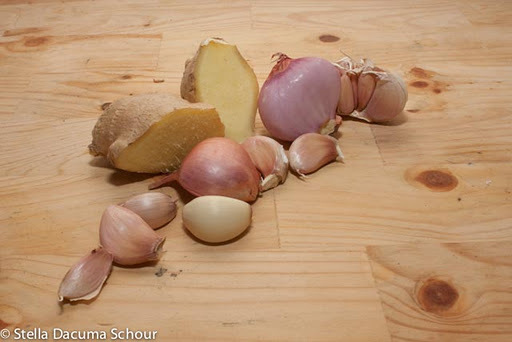 Keep Stirring until the shallots turn transparent. 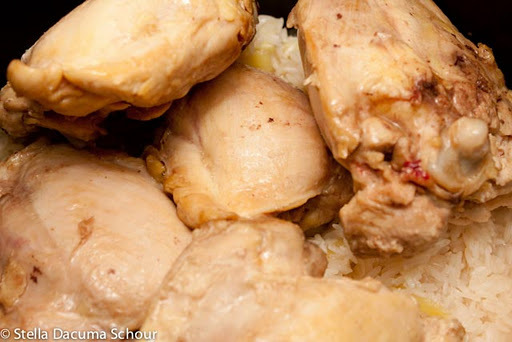 Add your chicken and rice. Don’t worry if it still a little bloody and raw. It will all cook off. Add water and a bit of salt. Keep Stirring. Dont Let it Dry up. Add Water, LOTS OF WATER. 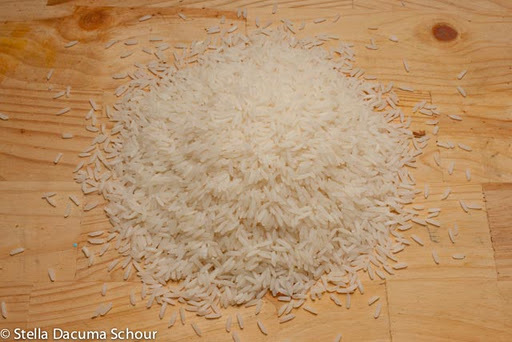 Rice absorbs water as it cooks. 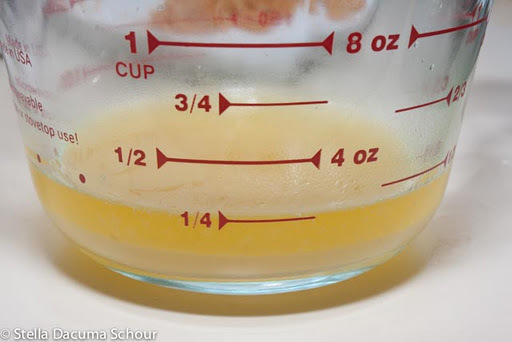 Your goal is to make it absorb more water than it can take so it splits up. This is what you are aiming for. 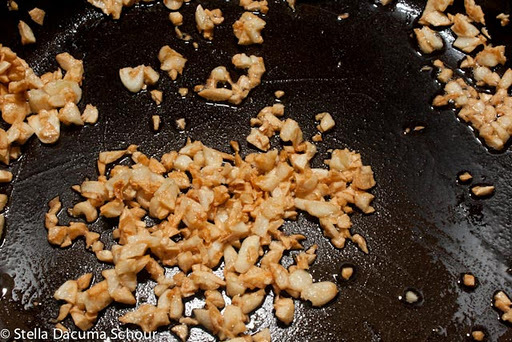 After the rice splits up, add all the fried garlic in the pot. Season with a bit of Salt and Pepper to taste. 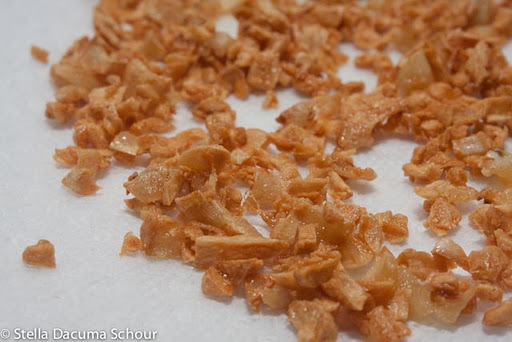 Put in a bowl and serve with the chicken skin, some soy sauce and lemon. This is one of my favorite winter blues cures. 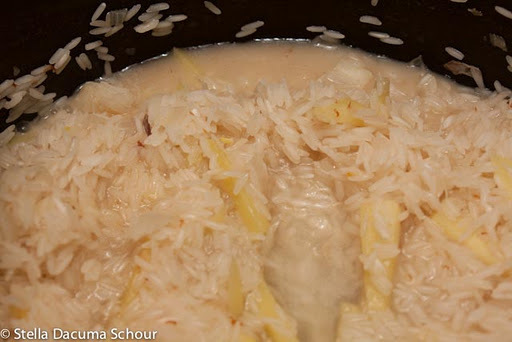 The dish is relatively simple and familiar. 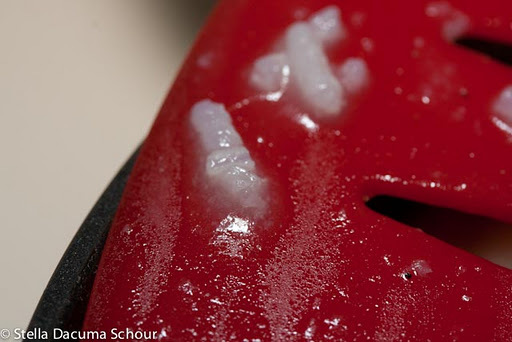 Ingredients are relatively available in American supermarkets. If you made this dish, send me a photo! 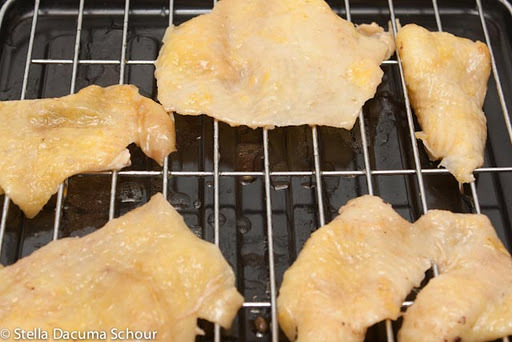 Fried Whole Fish: Make It, Debone It & Eat It! Wow so that's how they do the chicken skin? Never thought of it.